It can happen to the best of novice drinkers. Cat calls. Fun for those who dare dish it out. One woman’s sweet revenge. With the assistance of a friend. 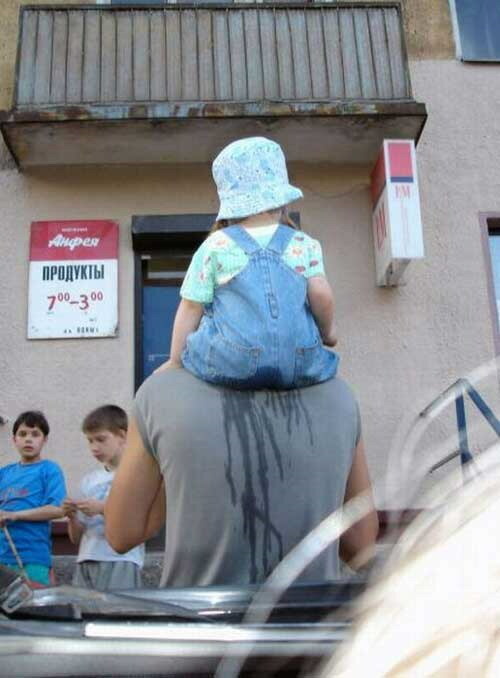 Pampers can only do so much. Camouflage. All the rage. Even for goats. 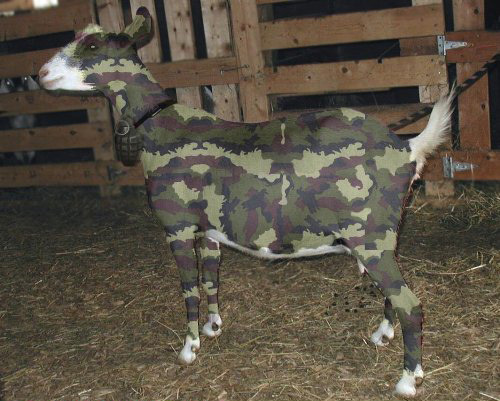 Only special goats can wear woodland camouflage so dignified. Ever try to help your man with one of his projects? Ever been frustrated by the pace? Mango Ice Cream by Manjula. Recipe here at Majulas Kitchen. Something easy to make at home. Arrowroot is an interesting stiffening, yet smooth ingredient for ice cream, unlike corns starch which can give a powdery gritty consistency. Looks like the vets were not the only ones encouraging use of Elizabethan collars yesteryear.